Measures 8" x 22". Paper piecing pages included. 27" x 35" This little wall-hanging is made with 2 dimensional flowers using a super simple applique technique. You get 2 patterns in 1. 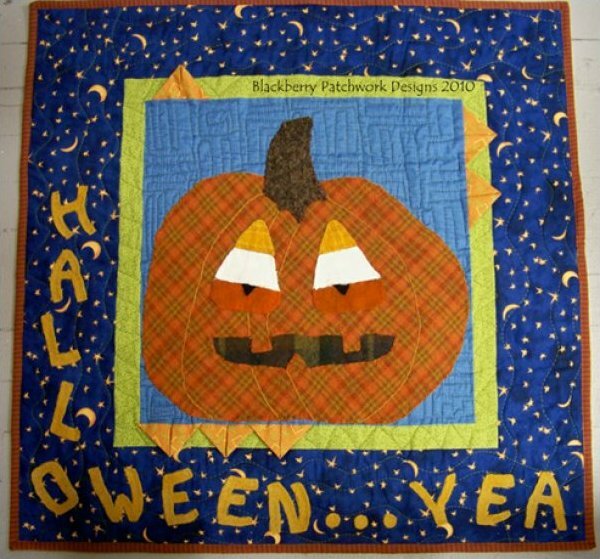 You get the pattern for both quilts. They measure 33" x 36". The appliques are actual size -- no need to enlarge. Make this wall-hanging in any color scheme you wish. 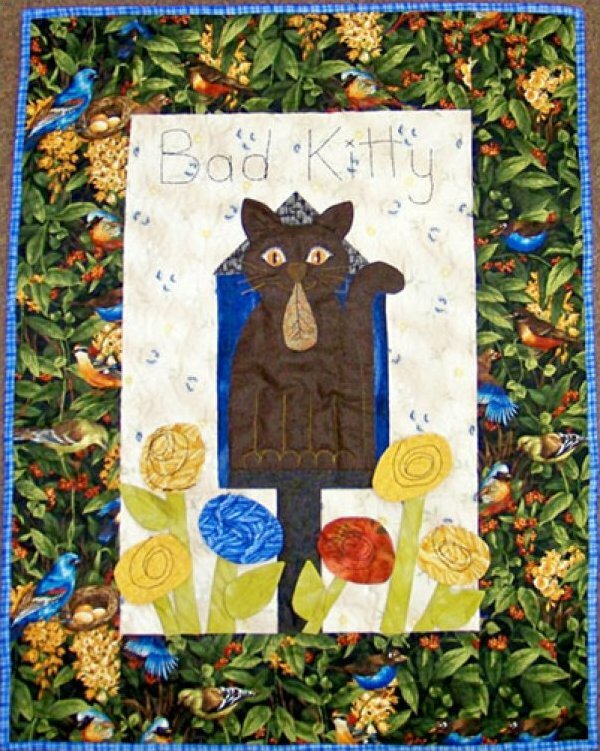 We made it in two with some omissions of applique pieces. It measures 29-1/2" x 46". 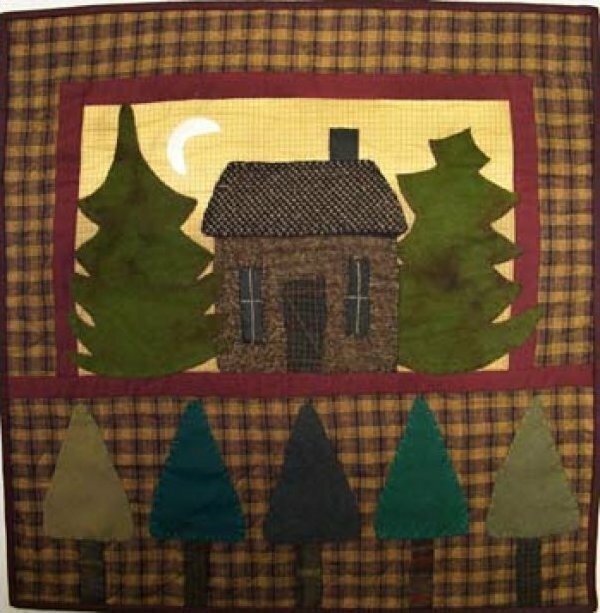 25" x 26" This woodland welcome suggests using wools for all the applique pieces, including a recycled ribbed wool sweater for the cabin. 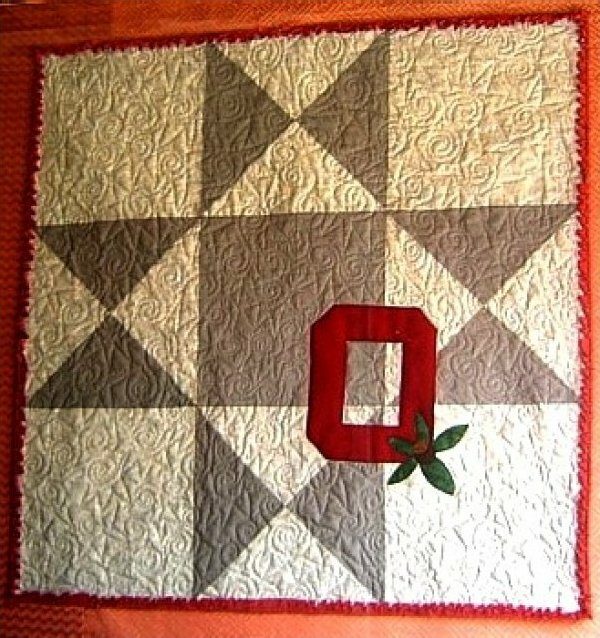 26" square. This big guy had way too much sugar but he wants more! 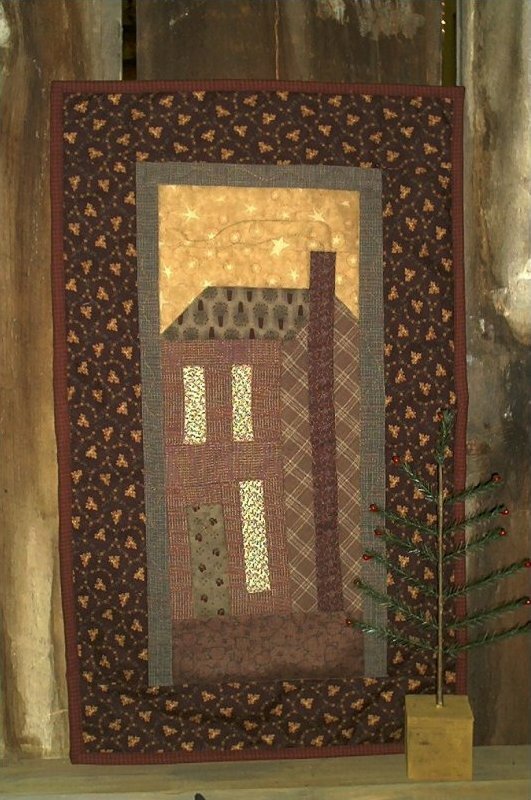 It's made with wool applique & prairie points. 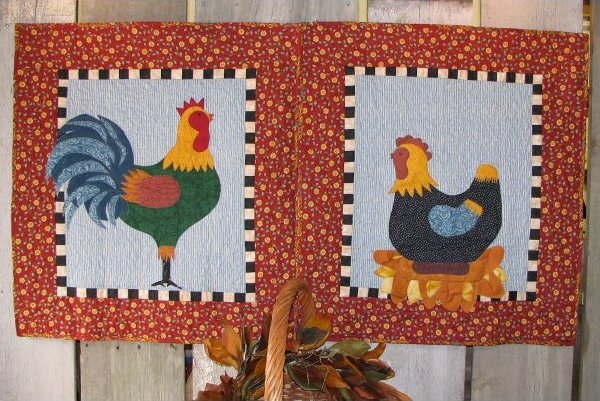 Applique pattern pages are actual size -- no need to enlarge. PLUS you get 2 pages of alphabet appliques. Olivia sighs one autumn. She's very wise & very old. She wishes she were very wise & wee bit younger. 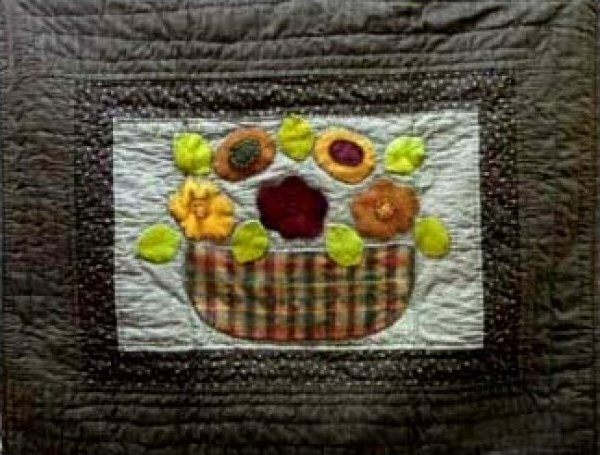 This cute little quilt measures 23" x 27" & suggests felted wools for appliques. 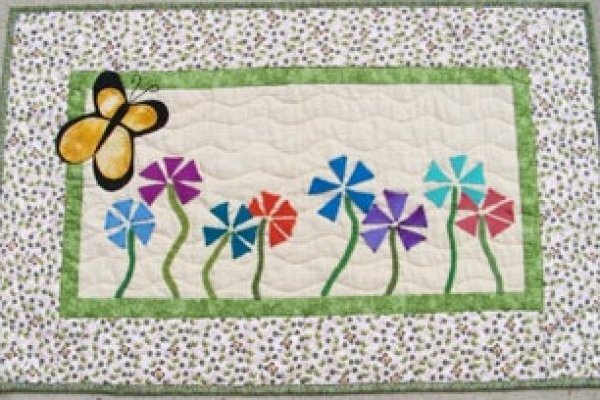 22" x 34" This is a fast 'n easy project that suggests you use wools for the butterfly & pixie flower appliques. 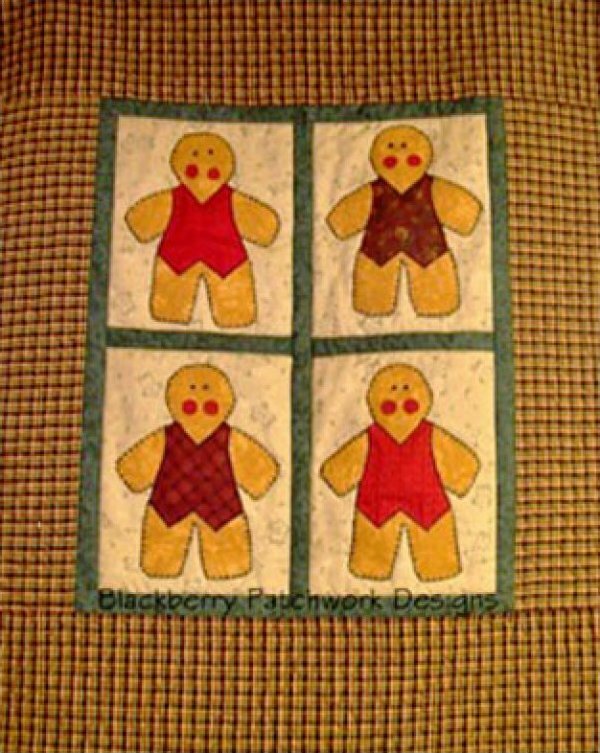 27" x 30" Applique these sweet little ginger buddies on a tea towel or sweatshirt or make this wall-hanging. 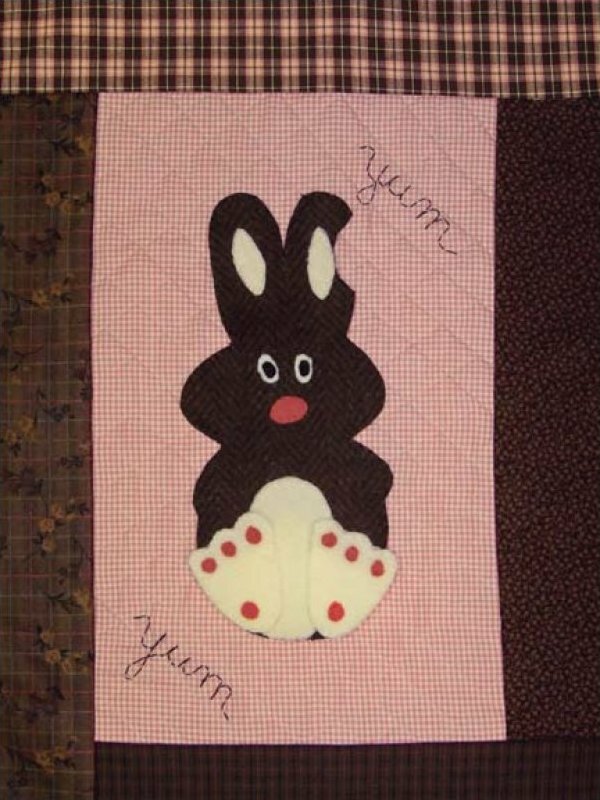 Oh no you dit'nt bite that little chocolate bunny! auh, maybe. Perfect all year long but especially in the spring. 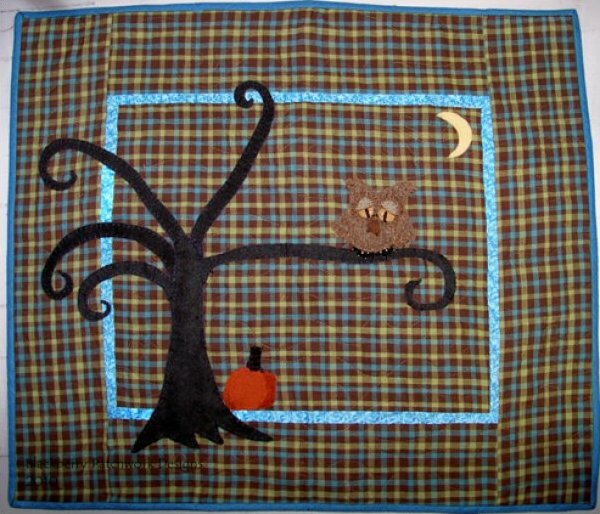 16" x 22 -1/2" Wools suggested for appliques.